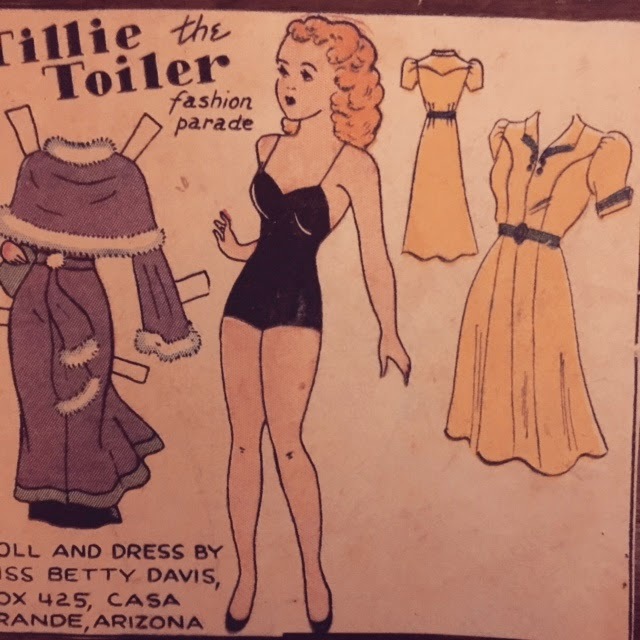 I loved paper dolls when I was a kid, so imagine my glee when I came across these Tillie the Toiler (and some Etta Kett) paper dolls. 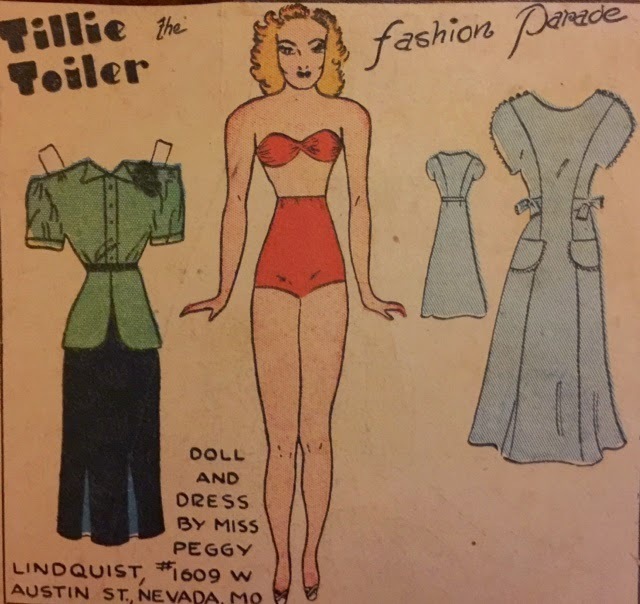 I don't have an exact date on them -- Tillie was around for quite some time, but most of the ones I have are late 30s, early 40s. However, in the interest of thinning the herds as far as stuff around here, they're listed on ebay, so if you're interested, click here.